A well-done lawn makes your front and backyard look beautiful. There is a diverse range of lawn mowers that can help you achieve your desired results. A riding mower is amongst the most preferred options, especially if you get tired of pushing your mower around. It allows you to achieve excellent results while being comfortable. There are many riding mower brands on the market. It can be overwhelming to pick out the best from the broad range. Selecting the right size is essential if you are planning to get a riding lawn mower. The right size is the one that matches your lawn's needs. It means that the size of your lawn will influence your selection. If you have a large lawn, then picking out a riding lawn with a great cutting width will be effective. Opting for a smaller cutting width for a large area will overwhelm the machine's capacity, thus, leading to occasional breakdowns. Small riding mowers are perfect for areas with tight passages that are difficult to navigate. The type of a riding mower transmission will influence the movements or adjustments of the machine. Hydrostatic is preferred to manual transmission because it is easy to operate and control the movements. When you are operating the latter, you will often make stops to change the gear. The hydrostatic transmission riding mowers allow you to change the gears with ease. They either come with pedal-operated or lever-operated hydrostatic transmission. This factor is an important consideration if you are determined to work on a budget to operate your new machine. A Diesel-operated engine on a riding mower is cheaper to run compared to petrol. A diesel engine is cheap to operate per hour because it has torque. The element helps to keep the blades running at a good speed without wearing out your engine. On the hand, petrol engines are cheap to purchase but are expensive to run per hour. The capacity of diesel and petrol operated engines will depend on your activity level. Your terrain can either be flat and easy to navigate or rough. It is important to put this into consideration when purchasing a riding more to avoid high maintenance costs. 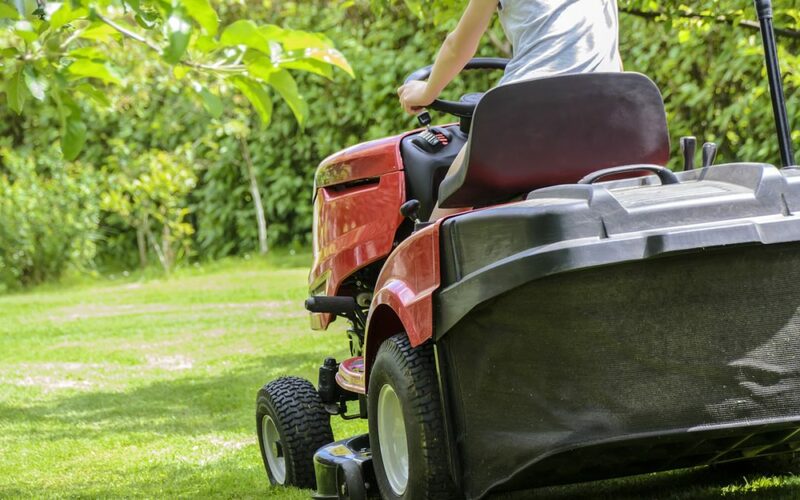 You need to get a high-capacity riding mower if your terrain is bumpy to avoid frequent breakdowns. Get a towable mower that is raised because standard riding mowers have small wheels that cannot operate in rough terrain. Go for riding mowers that come with accessories to boost the versatility. A wide range of accessories allows you to perform a diverse range of activities such as mowing, snow blowing, spreading seeds, and fertilizer. Brands will make various accessory provisions. Compare and contrast various brands to get one that matches your needs and preference.